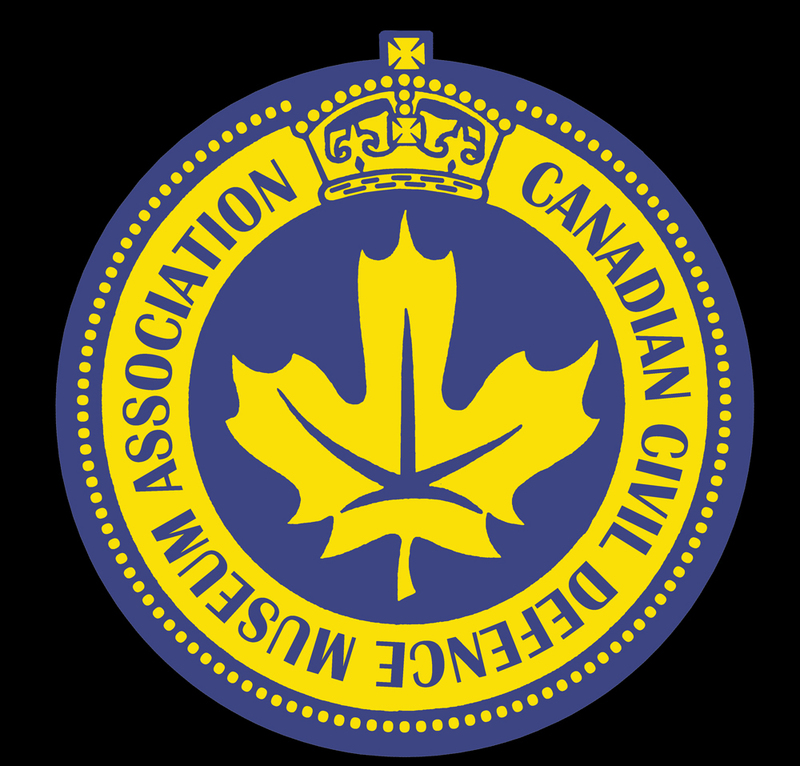 Given the interest our bus seems to have garnered at the recent Edmonton Airshow, here is a short history of it and how it came to the CCDMA. Our bus is a 1967 General Motors TDH-3501 model. This, and the successor 3502 model, were the last series of “Old Look” style buses produced. It was delivered in December 1966 to Calgary Transit as their bus number 317. It served in transit service and was withdrawn in 1980. 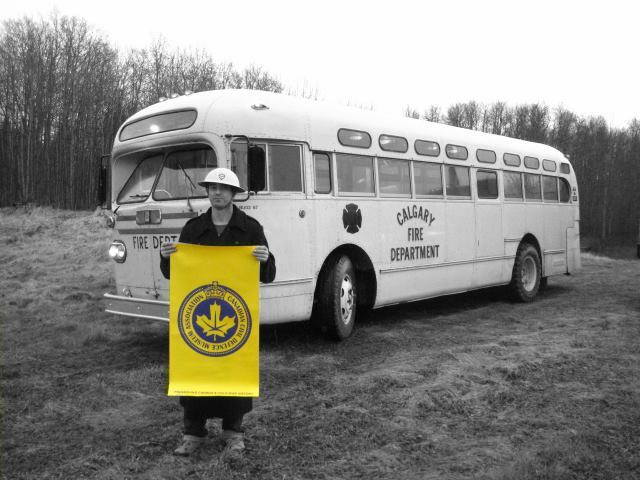 After retirement from transit service it was painted fire-truck yellow and transferred to the Calgary Fire Department where it remained until the late 80’s. It was listed as having been used as a mobile command center, although as it was still a seated bus, it’s very probable it was used to move fire crews, evacuees, or served as a warming center at emergency scenes. After the Fire Department retired it, it was returned to Calgary Transit and sat in storage at their Spring Gardens garage until 2003 when it was donated, along with two other Brill buses, to Reynolds Museum in Wetaskiwin, Alberta. In 2016, Reynolds Museum listed the bus for deaccession from their collection. 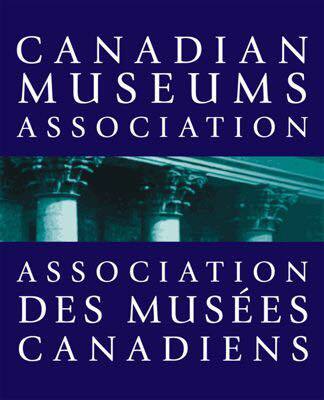 The CCDMA submitted an application and were successful in obtaining the old bus and on October 20, 2016 we attended Reynolds Museum to take delivery. As the bus had not run in well over 25 years, we had to utilize a flatbed truck to move it. The next several weeks were spent assessing the condition of the bus. All the old fuel and fluids were drained and replaced. A new battery was installed, and much to our stunned amazement, the bus started on the first attempt! New tires were installed in August 2017 and the bus hit the road for the first time in an estimated 27 years and successfully made an approximately 75 km round trip to be on display with the CCDMA Exhibit at the Edmonton Airshow. People loved climbing on board for a look and many reminisced about having ridden buses like this. Lots of children had their photo taken inside the bus and were in awe when they realized that 50 years was a long time ago! 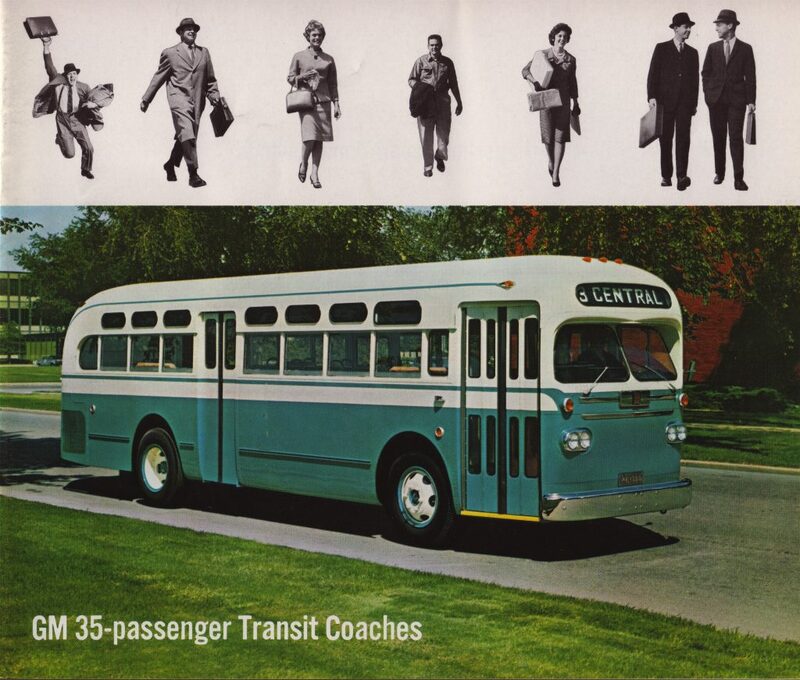 In 1959, General Motors introduced the “New Look” bus, and these were built in 35 and 40 foot lengths. 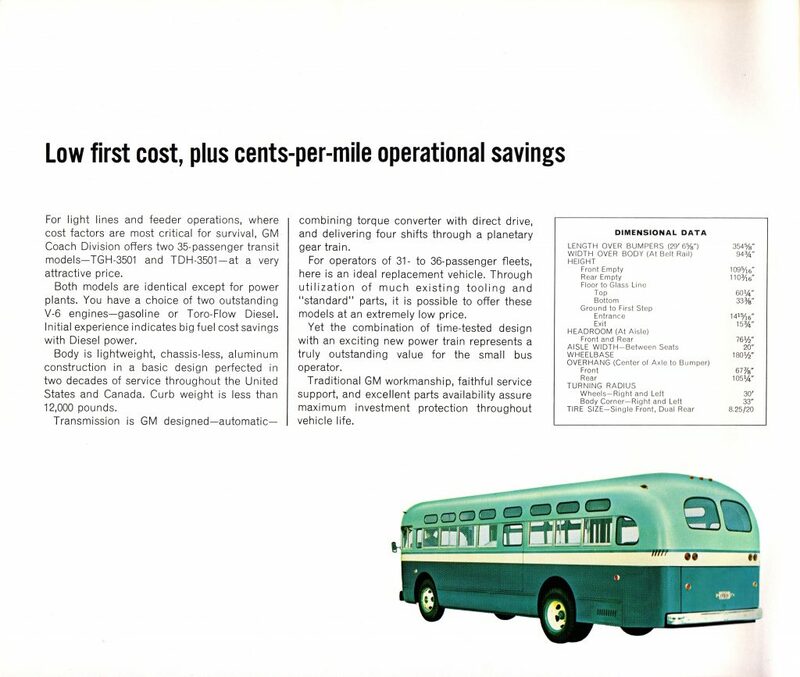 There was still a market for a small, light duty bus and GM responded with the 3501 model. 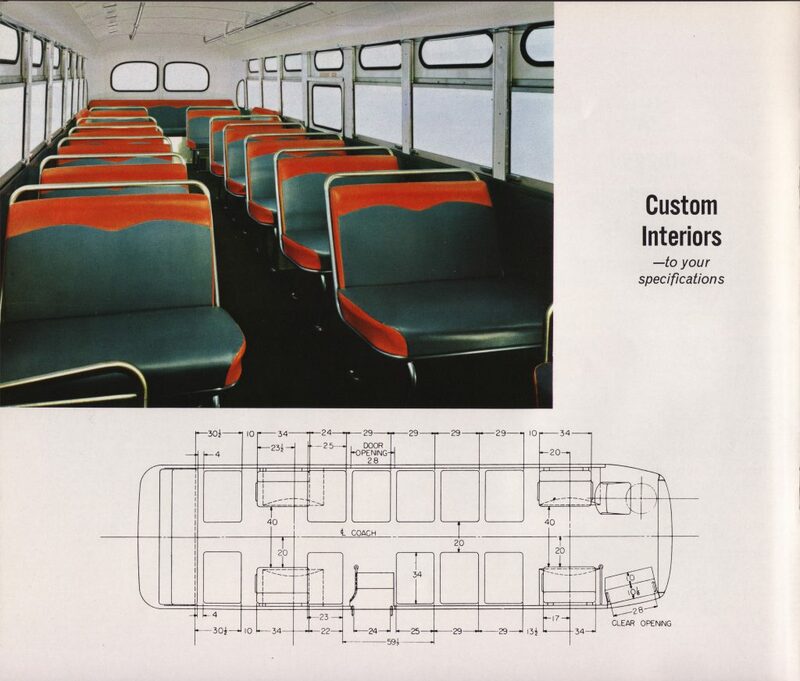 By using existing bodywork that had changed little since 1939, they were able to offer a low-cost bus. 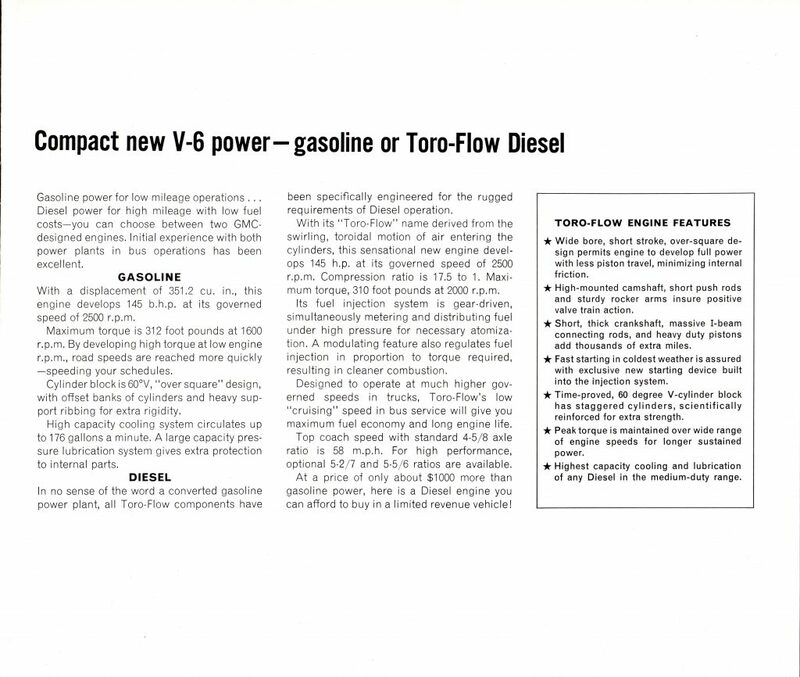 Unlike earlier models, and the new New Look that used the Detroit Diesel engines these buses utilized a new engine, the GMC Toro-Flow. There were also gasoline powered versions offered. 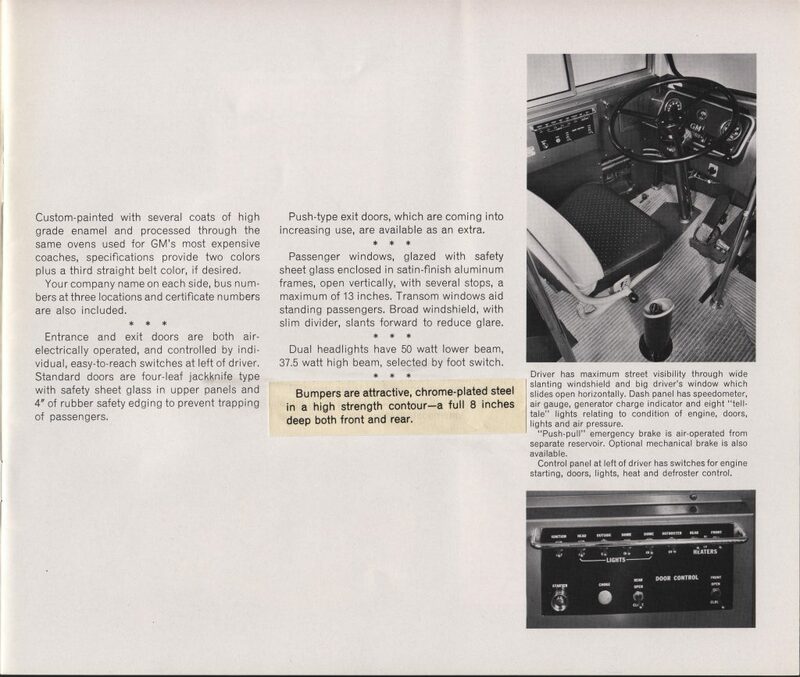 The 3501 was a “throwback” in that it did not offer air ride suspension either. General Motors built 1049 of these buses, and an additional 116 gasoline powered ones. All were built by GMC Truck and Coach Division in Pontiac, Michigan. The engine is a GMC Toro-Flow D478 diesel. This is a 60 Degree, 4-cycle, V-6 engine of 478 cubic inches, mated to a 4-speed Allison automatic transmission. These last Old Looks were the only buses of this style to have had their engines mounted straight in a T-style. 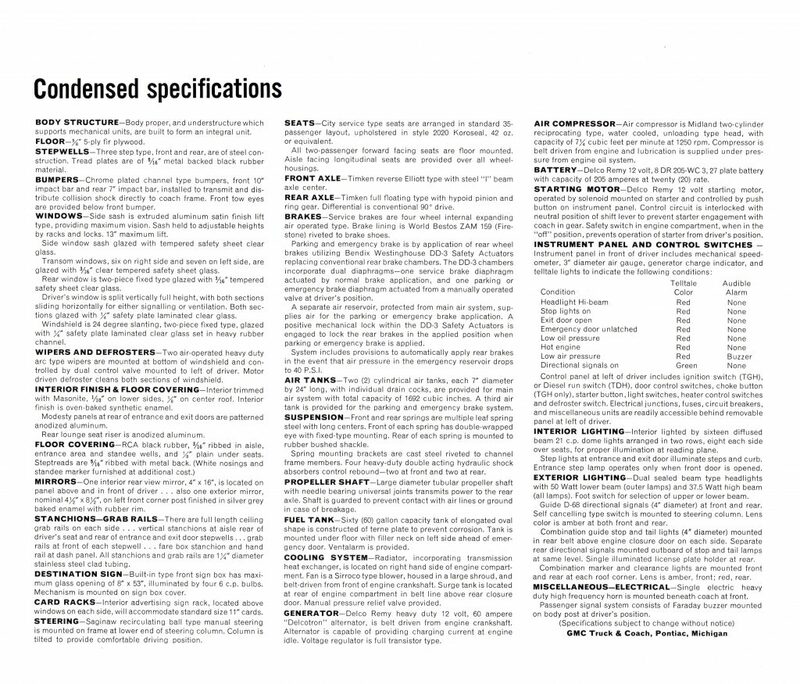 All previous versions had transversely mounted engines. The CCDMA is using the bus to promote the museum, and plans are to repaint the bus in to the Civil Defence scheme. The bus actually was with an Emergency Services Department (Calgary Fire Department) during the Cold War era that it will be maintained and preserved as a bus, with interior “Car Cards” to tell the story of Civil Defence in Canada.